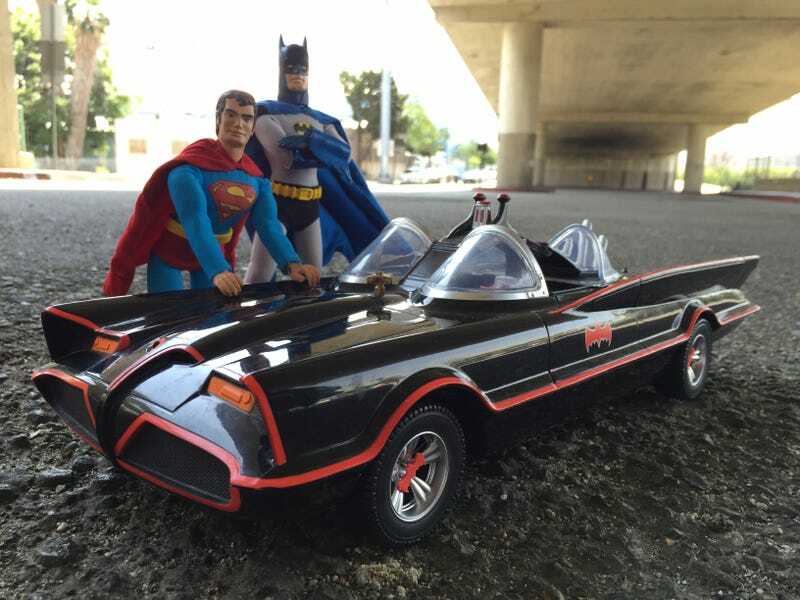 Week's TV: Robot Chicken Tackles DC Comics! And Arya Stark Comes to Doctor Who! This week, we say goodbye to the beloved time-travel TV show Continuum. But also, Gotham follows up that shocking twist, Doctor Who features a Game of Thrones stalwart, and LEGO Star Wars takes us aboard the Falcon. It’s all happening in this week’s television! What are Nygma/Kringle shippers called? “Krygma’s”? Why—that’s tantalizingly similar to the ancient Greek word, “Kerygma”, meaning, to proclaim, announce or preach! They really missed an opportunity to build a Lego Exogorth/Space Slug? That’s—and I speak for the voices of millions here—one the most sought after Lego sets imaginable. Right up there with a Sarlacc that has a visible digestive system. I like how they call them “murder-visions”. It’s very Warlock of the New Mutants. Mysterious facial tattoos that each correspond with a different infectious disease! Jay Garrick vs The Sand Demon! The multiverse starts here. Swedish Chef does Rapper’s Delight—that’s the joke? Not a clever recontextualisation of the song’s meaning through an ornate set piece, but just Swedish Chef in a room, to the shocked expressions of his fellow performers? I mean, it’s by the Sugarhill Gang! For the love of God, you could have ants do it! A war of rapping puppet-ants! The remaining artist must make –essentially—Garbage Pail Kid versions of their own family members. This unusual promo I found appears to be both letterboxed and pan and scanned. Liz eats a frat boy’s brain and becomes a total jabroni. Mutants—sworn to protect a world that hates and fears them—ehhh—Inhumans! I meant “Inhumans”. Inhumans. A pumpkin patch party sounds pretty fun! This one’s called “A Fortress of Phantoms”. A soul-eating baby! Now it’s really season eleven. Following a new South Park! Recently announced to become a television series. Followed by Hands of the Ripper for a “Saucy Jack” combo. Save the anteater, save the world. Incredible line-up beginning with The Nanny at eight, followed by The Bad Seed, Children of the Damned, Village of the Damned, Curse of the Cat People, and ending with Valerie and Her Week of Wonders! Don’t miss it. Even more evil kids and babies. Could this be the lowest-stakes Pokemon adventure ever? Vikings, the Mire and Maisie Williams! Part three of the Contest of Champions saga. A non-Treehouse of Horror Halloween episode!? Kind of a weird promo clip, but you’re going to watch anyway. Season premiere! Yeah, wow—it’s also still on! Swamp Thing/ You are amazing/ You make everything…nasty.